Unfortunately her 5800 doesn’t come with a QR code reader, and she hadn’t got around to downloading one. 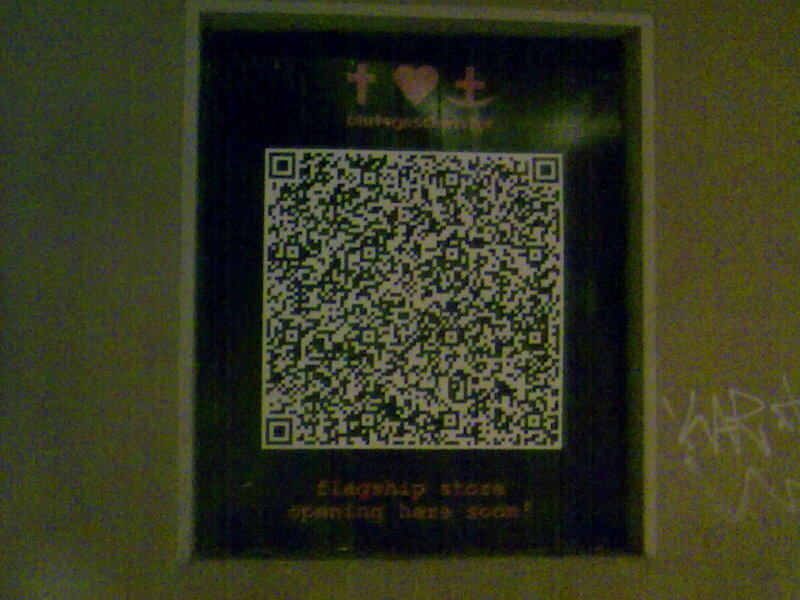 Try as I might, I have been unable to scan the above photo; presumably too much detail in the QR code. 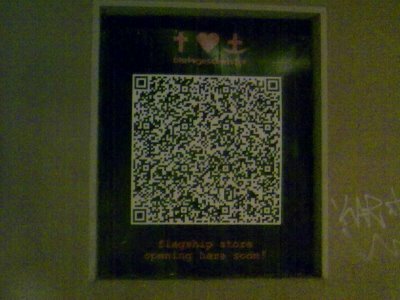 So, anyone know what this particular QR Code says? ?